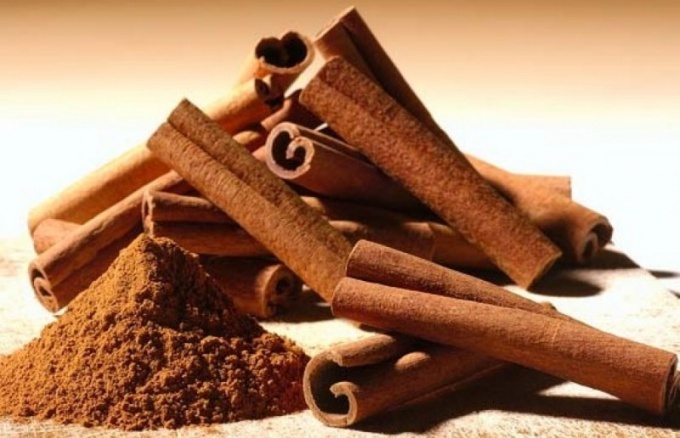 Often the stores is implemented is not the genuine cinnamon, and Cassia bark of the Chinese cinnamon tree, which is able to provide a laxative effect on the body, but to provoke diseases of the gastrointestinal tract. To protect yourself from fakes, it is recommended to purchase cinnamon sticks and then grind it. Cinnamon, or, as it is called, chorionic Ceylon – this evergreen tree of the Laurel family. However, in everyday life called cinnamon the dried bark of this tree. It is widely used as a spice in cooking and also as essential oils in medicine and cosmetology. Sold by cinnamon, usually in the form of a tube rolled in pieces of bark, and often in the form of a hammer. For the production of spices the cinnamon is grown in over two years. Then it was pruned at the root. In the next vegetative year on cut tree formed about a dozen young shoots, which cut the bark. Then it is dried, the outer layer is removed and leave only a thin inner layer. As a result, no meter cinnamon strips that curl after drying in a long tube. The tube is then cut into pieces with length from 5 to 10 cm in length. They go on sale. To feature cinnamon powder from powder of Cassia sufficient to carry out the test of iodine, which is easily accomplished even at home. When applied iodine to the cash Desk, it is painted in dark blue color, whereas the same procedure cinnamon gives only a faint bluish tinge. For many purposes it is necessary cinnamon powder. To get it, a stick of cinnamon to grind. Ordinary fine grater for these purposes will not work. Immediately lay the stick in the blender or the coffee grinder should not be too – get different size pieces. Let's first stick to dry on a dry pan. This procedure will make it more fragile, will remove excess moisture and intensify the flavor of the spices. But it should be remembered that to dry and grind the cinnamon should be in small volumes, because the whole sticks retain their properties for a year, and shredded lose six months later. After drying, the sticks should be laid in a sturdy package and rolled with a rolling pin. The end result is pretty small pieces. The same result can be achieved with a mortar. The resulting pieces of this size can be put in a blender, food processor, grinder or coffee mill. Store powdered cinnamon should be sealed glass or ceramic container, and always in a dark place. Under these conditions, the cinnamon will remain fresh and fragrant. Sticks of cinnamon – an aromatic spice made from the bark of the eponymous tree. It is a source of calcium, magnesium and manganese. It is widely used in cooking and medicine. The use of cinnamon lowers blood sugar, stimulates brain function, improves appetite and normalizes digestion. Use sticks of cinnamon in cooking. In the East they are added to spicy dishes of lamb and chicken in the Caucasus – in the meat, vegetable stew, put in rice, kharcho and chikhirtma. In Russia, traditionally prepared with the addition of cinnamon porridge and milk soups. Use a spice to flavor marinades, sauces, preserves, compotes and cheese dishes. 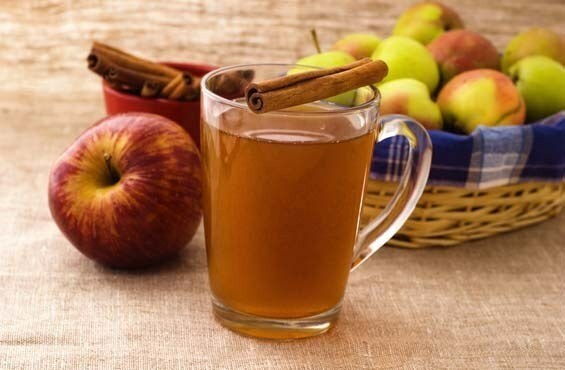 Sticks of cinnamon can be added in liquid food. Put them minutes in seven to ten or until cooked immediately before serving, pre-fry a few minutes in vegetable oil until fragrant. If you are going to grind the cinnamon sticks then fry in a hot pan without adding oil. Combine cinnamon with dishes of carrots, spinach, dairy, corn and red cabbage and pears, apples and quince. Add spice in cold fruit soups made with fresh or dried fruit. Prepare a delicious and healthy dish of the Jewish cuisine qi-months. To do this, wash, peel and shred the carrot. Fry it in vegetable oil. Raisins and prunes wash and soak. Remove prune pits. Add to the pan the carrots, raisins, prunes. Add the sugar, salt and put on medium fire to stew, stirring occasionally. After an hour, place the cinnamon, honey, pepper, pour the lemon juice and continue to simmer for ten minutes. Add spice in various drink: yogurt, kefir, coffee, hot chocolate, punch and mulled wine. In Mexico it is customary to stir the hot chocolate and coffee in a Cup not a spoon, and a stick of cinnamon. Make a tea, which is used as a warming remedy for colds and flu. Pour a stick of cinnamon 0.5 liters of boiling water, steep for ten minutes. Then carefully heat the infusion, not bringing to the boil. Pour the tea in a dry (pre-warmed) teapot and pour in hot broth with spice. Cover the kettle with a lid and in about five minutes, pour into cups. For lowering blood pressure add one stick of cinnamon in a glass of kefir, let stand ten or fifteen minutes, then remove and drink before bedtime. Pregnant high doses of cinnamon contraindicated. *Store cinnamon sticks should be in closed glass jars. The maximum shelf life of a year. *Cinnamon sticks to add to cold dishes just before serving, while hot for ten minutes until tender. During prolonged heat treatment the cinnamon will taste bitter. *When cooking qi month you can add different dried fruits and nuts.